The objective is simple: clear the board. 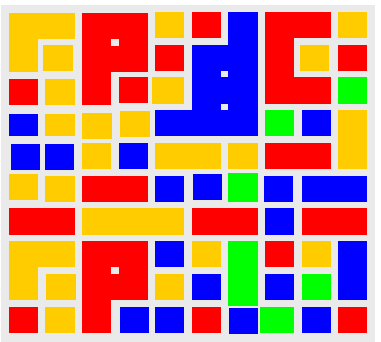 To remove pieces, click on at least two connected ones of the same color. ColorJunction is a tribute to ChainShot, an ASCII game released in 1985 by Kuniaki Moribe. Click anywhere on the board to return to the game.